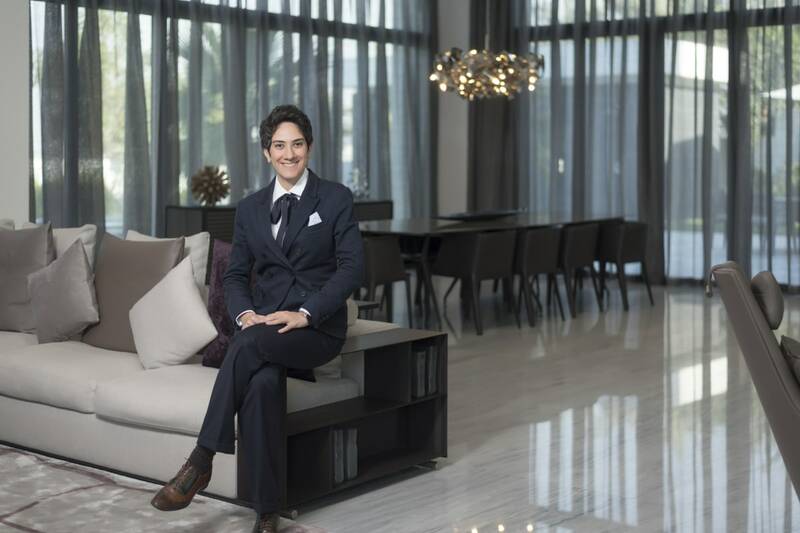 This week we sat down with Gulf Sotheby’s International Realty Senior Global Property Consultant Honey Deylami to find out more about what her average day is like in the arena of luxury property in Dubai. Hi Honey, thanks so much for talking to us, so first off, which areas do you specialise in? I work mostly with properties for sale in Palm Jumeirah and Dubai Marina including luxury buildings like ONE Palm, SOHO Palm and Elite Residence. With Real Estate, especially in Dubai, you never quite know what the day will bring, but usually a typical day will be filled with viewings and client meetings. I spend a lot of my time out and about sourcing great homes for my clients, I just found a beautiful five bedroom Signature Villa on The Palm Jumeirah for a family of three. How long have you worked for Gulf Sotheby’s International Realty? I started here in January 2017, so just about 2 years now. What is different about working at Gulf Sotheby’s International Realty? As it is an international brand, it helps to be recognized and trusted both locally and internationally. Having that sort of global flexibility is not a common offering and really sets us apart from other luxury real estate agents in Dubai and the Middle East. The Dubai luxury property market is just going from strength to strength and we fully expect this year to be another fantastic year for buyers. I think the exciting opportunities for growth and new developments will provide plenty of fuel for even better results as we move forward. A private cinema and a private spa – I really wanted to live there! I love the opportunity to be within a field that rewards hard work. The more you put into, the more you will get out of it and if you work hard enough, you can achieve anything. Definitely sales – I love the challenge and the rewards, as well as the people. Probably, most likely in a bank or investment firm. What makes Gulf Sotheby’s International Realty the right choice for someone looking to buy or sell their home? It is a brand that people can trust and have confidence that they will always get the best results and the highest levels of service. They have decades of experience throughout their hundreds of international offices and their super professional teams. Luckily I live in a two bedroom apartment on the Palm Jumeirah – it is my favourite place after all! A good balance of relaxing and exercising, as well as meditating and reading books. What is the weirdest thing/experience that has ever happened to you in your career? It isn’t that weird, it’s more frustrating, and unfortunately it is all too common, but I once spent an entire month working with a client on a new development that fit all of their property goals. After hours and hours of work, they ended up dealing directly with the developer! What is the most expensive or luxurious property you have sold? I just love the ONE Palm off-plan project and a recent sale I coordinated there was one of my highest to date. What do you most love about living in Dubai? The friendly, safe and relaxing environment where you are surrounded by people from all over the world. Dubai is a global hub and it has been growing rapidly throughout the past few years and for those who have made investments at the right time, their future will be highly profitable.